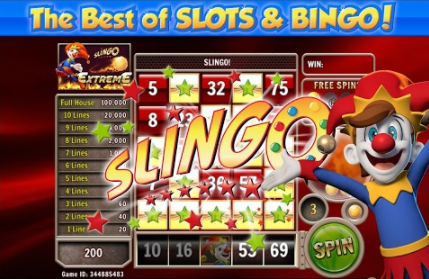 This slots online game is a combination of both slots and bingo designed and developed by IWG. Playing this game, you’ll have to decide between one of six locations: Golden Fields, Jokers Hamlet, Lucky Gulch Royal Forest, Smugglers Cove and Diamond Peak. Each setting is assigned based on the value that you’re staking, so don’t worry all of them give you just as many chances to make some serious cash in this hybrid Online Slot Games. In each of these unique settings, you’ll get a real feel for the environment you’re in, with stunning graphics to display each one of them to perfection. If you love promo's, get the best slot offers today. The game offers simplicity, with some of the best graphics on the market with a total of 6 stunning backdrops to choose from so you’ll never be bored of the same background that many other slots offer. Moreover, the overall gameplay is brilliant, it takes two of your favourite types of games and Slots and Bingo and rolls them into one. With plenty of chances to leave feeling content with a big payout, you could even be lucky enough to hit the jackpot of £250,000. For every bet, you’ll be given 6 spins to make the maximum possible number of lines that you can every line will have a number above which is the prize for successfully completing that line. For every spin, you will either reveal a number or a free spin. 50p is the minimum possible bet on this game which will take you to Joker’s Hamlet and £15 is the maximum which will take you straight to the Lucky Gulch.